We were so impressed by Cooler Master's MasterCase Maker 5 back in June that we called it "quite possibly the best mid-tower chassis in years." 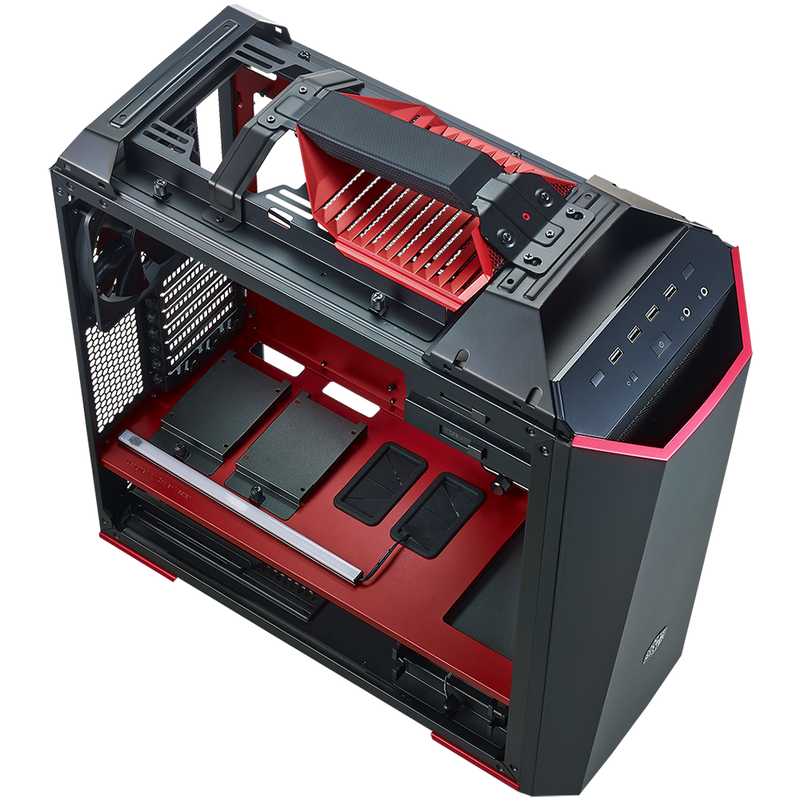 Lovely to look at, fun to work with and chock-full of potential for a high-end build, the case ticked a lot of the right boxes and Cooler Master is now looking to go one better with the £230 MasterCase Maker 5t. 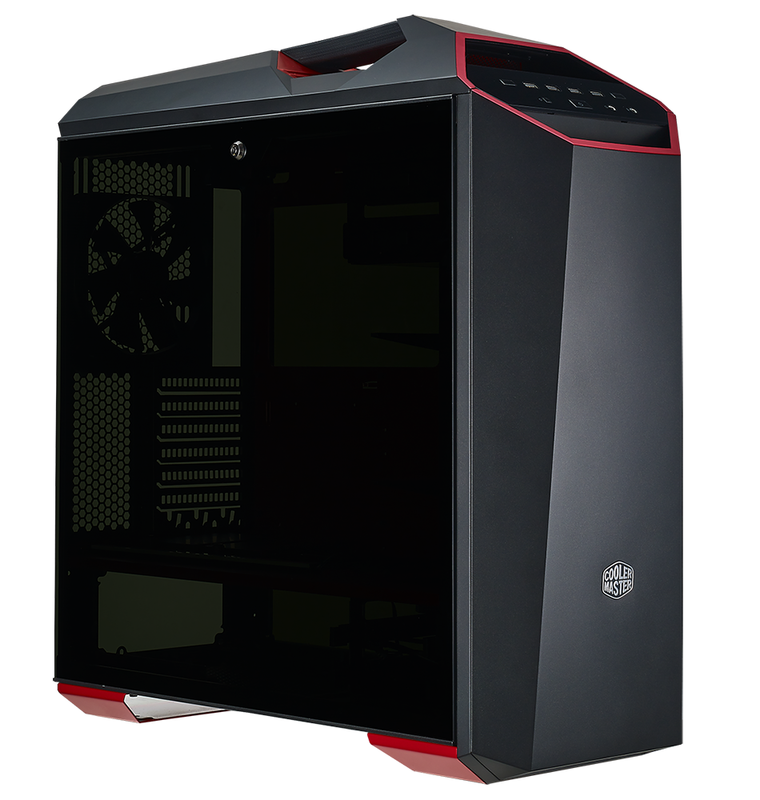 The MasterCase branding seems to be getting clunkier with each new release - Cooler Master MasterCase Maker 5t hardly rolls off the tongue - yet the chassis looks a lot better than it sounds. Visually it's a treat for the eyes, with the dark, edgy and aggressive appearance making it one of the most attractive cases on the market. What's new for the 5 Turbo (or 5t for short) is a two-tone colour scheme that adds red elements to the standard black. 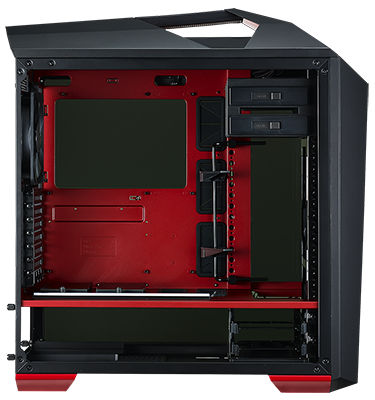 The same effect was recently applied to the MasterBox 5t, yet while that case didn't quite win us over, the red accents on the MasterCase Maker 5t work surprisingly well. There's just enough to add a hint of sportiness without spoiling the aesthetic, and the red paintwork looks great in the flesh thanks to small metallic flakes that sparkle under direct light. 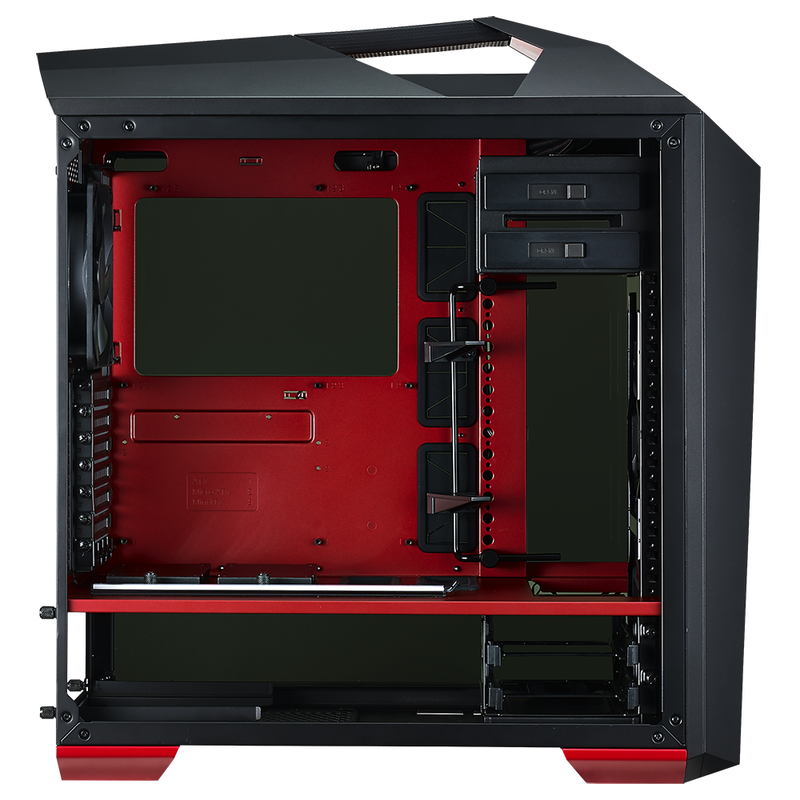 A little bit of red here and there isn't going to justify the £60 premium over the stock MasterCase Maker 5, so what else does the 5t bring to the table? 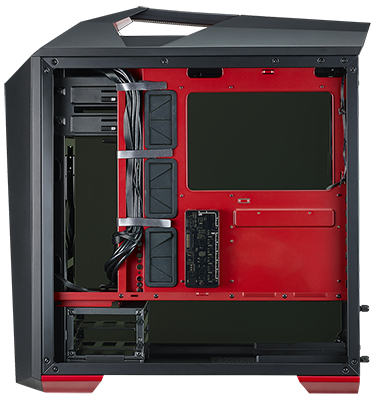 Well, for starters, a pair of lockable tempered glass side panels are included as standard. Finished with a tint that's dark enough to appear menacing and transparent enough to hint at the hardware inside, the glass panels add a real sense of luxury and make a good-looking case seem even prettier. Keeping the goodies coming, the Maker 5t's top section has also been modified to include a rubberised carry handle that can support a weight of up to 28.5kg. It's a nicely implemented addition and can be removed to allow access the top fan mounts by undoing a couple of screws. 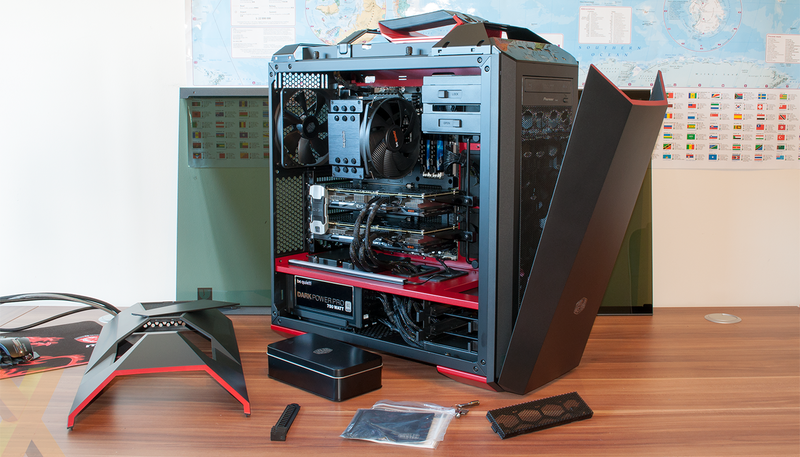 Last but not least, the previously optional MasterCase Graphics Card Holder is also bundled in the box. Attaching neatly to the FreeForm column, it can help prevent one or two graphics card from sagging and minimises unwanted movement during transport. The added extras are all appreciated and the bulk of what's good about the MasterCase Maker 5 is still present. 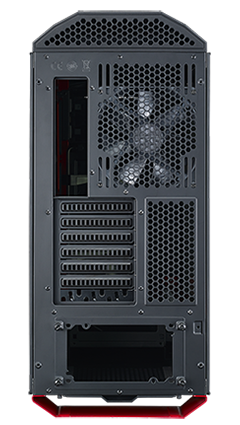 The highlights include dual 3.5in drive trays in a removable cage located at the end of the PSU compartment, dual 2.5in SSD sleds attached to the top of the PSU shelf and a trio of bundled fans. You get dual 140mm intakes and a 140mm exhaust fitted as standard, but there's room to add two 120/140s up top and another 140 up front. 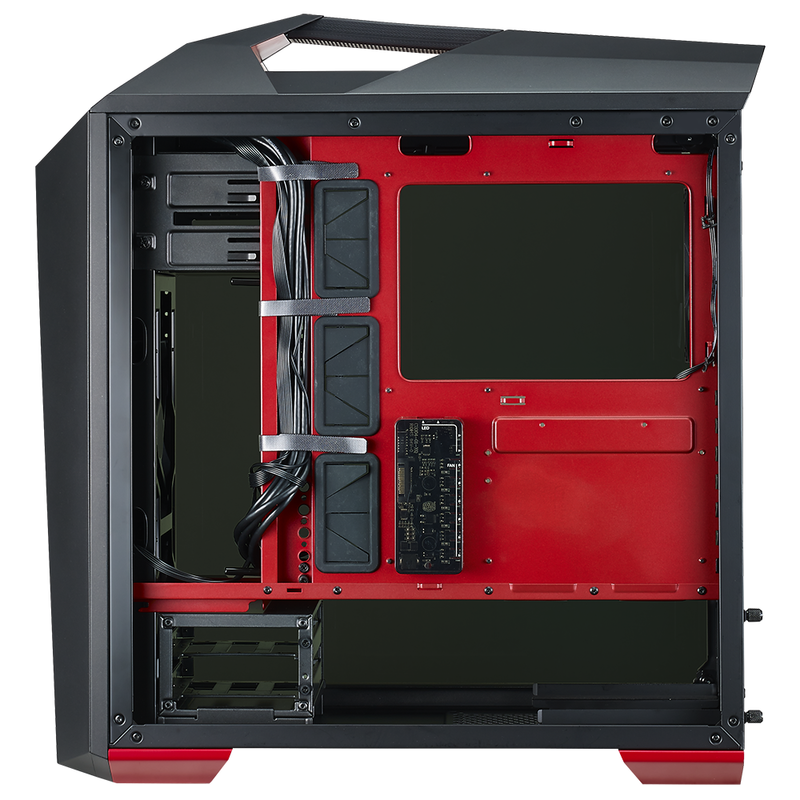 In terms of radiator compatibility, there's room for 240/280mm radiator in the roof, and if you're willing to forego some of the storage bays, a second 240/280mm radiator in the front. 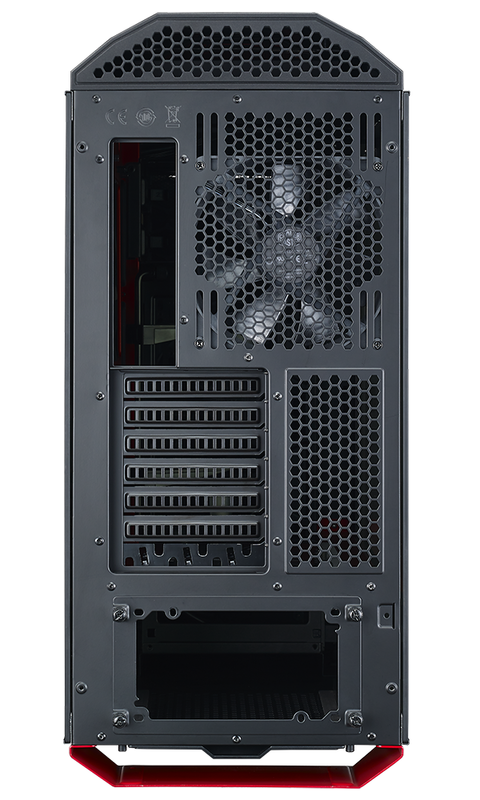 Dimensions of 574mm (H) x 242mm (W) x 544mm (D) make the enclosure bigger than your average mid-tower, yet Cooler Master puts the space to good use by including a pair of tool-free 5.25in optical bays. What's handy is that the front-panel cover drops forward with a gentle tug to give an optical drive room to eject. Great news for any gamers clinging to their disks. Cooler Master still includes a nice little storage box to hold all the screws and fittings, but a couple of other items have fallen by the wayside. Maker 5t doesn't have the additional three-bay cage that was featured in the standard model, and the I/O ports have also been re-jigged, though not necessarily for the better. The cheaper, all-black case is adorned with three USB 3.0 and USB 3.0 Type-C. We were hoping the latter would have been upgraded to USB 3.1 but Cooler Master has taken a backward step by reverting to four standard USB 3.0 ports. Elsewhere, cable management hasn't changed with three rubber-grommeted holes and three Velcro straps at hand to route all the wires. It's a logical arrangement, though we are having doubts about the built-in fan and LED hub. Powered by SATA, the hub can be used to connect half-a-dozen three-pin fans, as well as four LED strips. 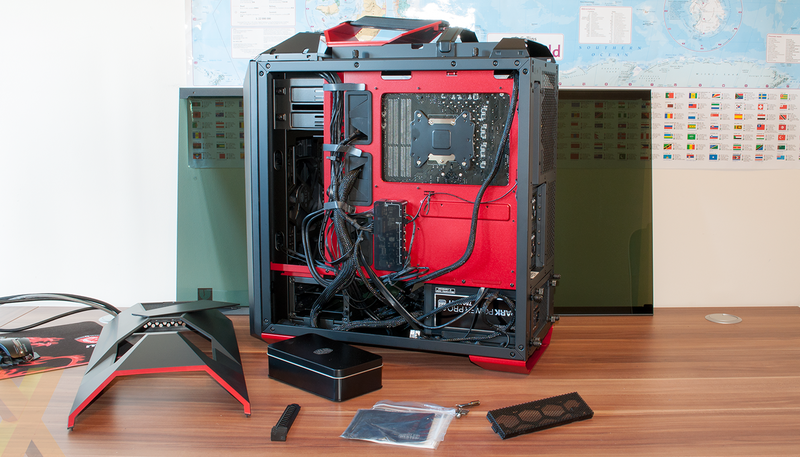 A single red LED strip is included in the bundle, but given the added cable clutter that's introduced, we might have preferred higher-quality, ultra-quiet PWM fans that connect directly to the motherboard. You could argue that today's high-end boards are outfitted with plentiful four-pin headers and BIOS fan control precise enough to negate the need for a hardware hub. 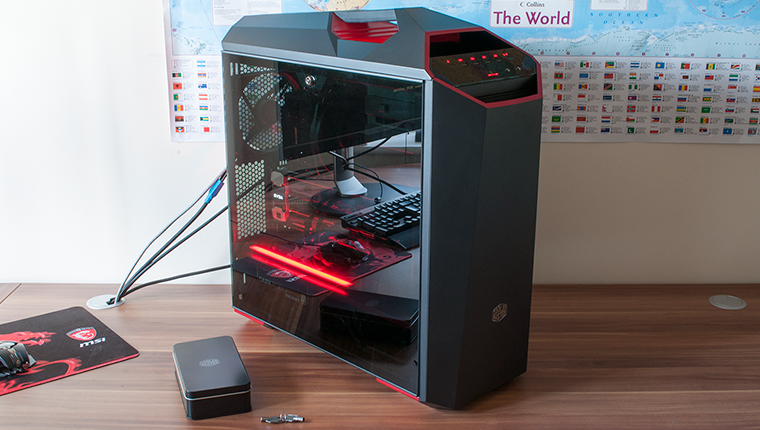 The case looks so damn good that some of the niggles are easily overlooked, but there are a couple of elements that Cooler Master has overlooked. We don't like the fact that the front I/O panel requires a Molex power connector in order to illuminate, the plastic 3.5in drive trays aren't befitting a case of this ilk and just a few small tweaks could elevate the Maker 5t from great to near-perfect. We'd ditch the fan hub and replace the basic stock fans with something similar to be quiet! Silent Wings 3 PWMs, add USB 3.1 Type-C to the I/O panel, and find a way to relocate the side-panel lock mechanism to the back of the case so as not to interrupt the stylish glass. Still, if you loved the MasterCase Maker 5 but felt that the all-black veneer was a little too monotonous for your taste, the Maker 5t's dash of panache could be right up your street.